Today, we’re getting into a category of cycling that has peaked my interest lately. 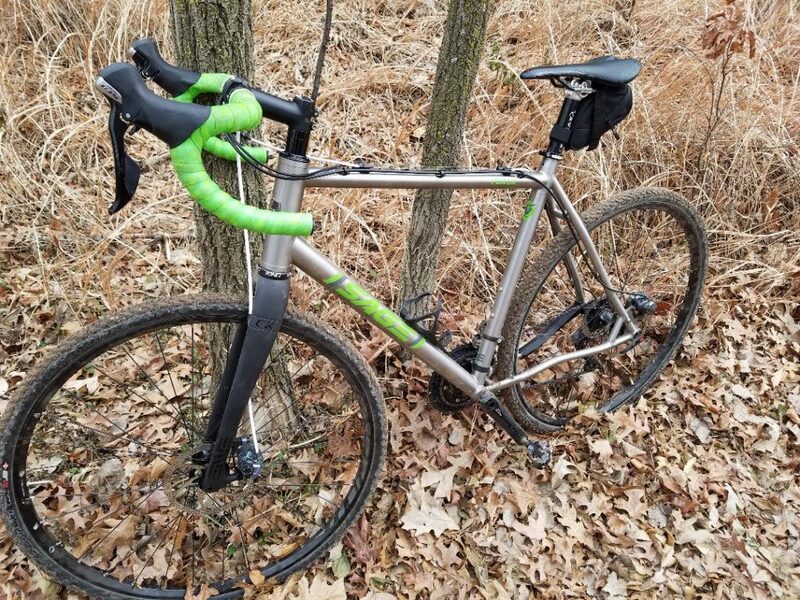 Though my expertise lies in road cycling, I read an article about a cyclocross bike on bicycling.com that propelled me to further research the sport of cyclocross. 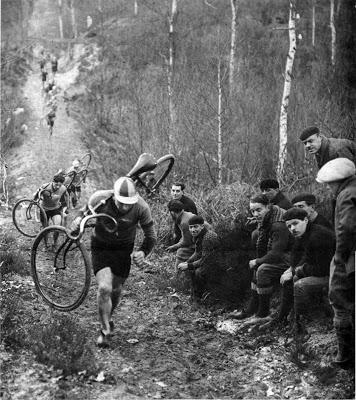 For those of you who were like me a week ago regarding their knowledge of this lesser known cycling sport, here’s a bit of information about the history of cyclocross to enlighten you. Cyclocross, a form of bicycle racing, is closely related to mountain bike racing, cross-country cycling, and criterium racing. Cyclocross is also known as cyclo-cross, CX, cyclo-X, or simply ‘cross. Cyclocross races take place on a short course (typically 2.5-3.5 km) that can consist of pavement, wooded trails, grass, steep hills, or obstacles. Cyclocross bicycles are lightweight like road bikes. They have narrow tires and drop handlebars. What makes them different, however, is their tire clearances, stronger frames, lower gears, and differing disc brakes that allow riders to be seated in a more upright position. They’re similar to mountain bikes because they use knobby tread tires for more traction. They differ from mountain bikes because, as stated before, they’re more lightweight. 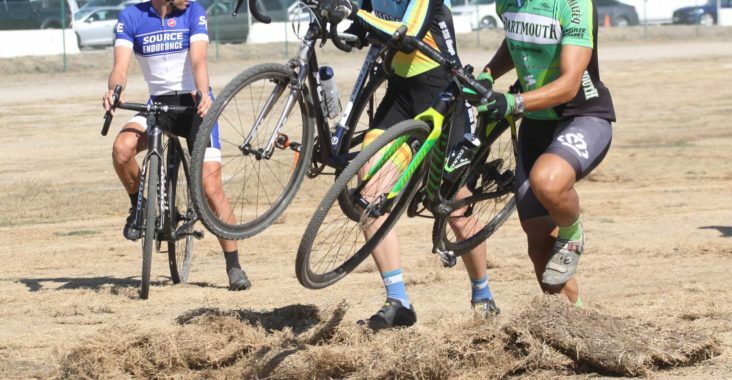 Cyclists who race in cyclocross competitions oftentimes have to carry their bikes over areas that are too steep or difficult to traverse in the saddle. Tracing cyclocross back to one pinpoint origin is difficult. 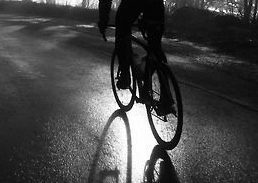 However, many have theorized that the beginnings of cyclocross took place in France in 1902 when Daniel Rousseau, a French soldier, organized the first French National Championship Cyclocross race. At the time, cyclocross was called “Steeple Chasing.” Those who competed would ride to a local landmark. Many of the races involved crossing rivers, climbing fences, and other such obstacles. The first to arrive would be deemed the winner. Although cyclocross is very similar in nature to both road cycling and mountain biking, a special kit of equipment is necessary due to the intense nature of the sport. First of all, one needs a cyclocross bike. As mentioned before, these bikes are lightweight (often make from aluminum, carbon, steel, or titanium), and have drop bars and integrated shifters. They also have knobby tires like mountain bikes and clipless pedals. Next, a rider needs cyclocross shoes. Some mountain bike cleats suffice as cyclocross shoes need to hold up against muddy conditions. Many cyclocross racers opt for shoes with spikes that help them grip mucky grounds. Cyclocross races usually take place in autumn and in winter. As most cyclocross races occur in the northern hemisphere, September through February is when the competitions happen. For those of you residing in North America, the Canadian and American championships are held in November and January. I hope that this introduction to cyclocross enlightened those of you who, like me, had never come across the sport before. I think that it looks like a fun and exciting hybrid between road cycling and mountain biking that I’d love to learn more about and possibly try out in the future. Thanks for reading and happy cycling!